Update at 7:17pm on 6/7: The Connecticut House passed the drug price bill intact, which now sends the legislation to Gov. Malloy for his signature or veto. Wide majorities of voters want public officials to reduce American medicine prices, which are the highest in the world and have become a key driver of skyrocketing healthcare costs. And yet as politicians including Donald Trump and Bernie Sanders have continued to call for a crackdown, corporate power players have successfully blocked even minimal reforms — with the help, at times, of industry-connected Democrats, whose party portrays itself as a consumer-defending critic of the healthcare industry. As Congress holds more hearings on the issue, the fight over drug prices has moved to legislatures — and an intense debate in Connecticut most starkly illuminates the battle lines. There, the House, the governorship and all constitutional offices are controlled by a Democratic Party that has long criticized the pharmaceutical industry for its pricing practices. Connecticut, though, also has America’s highest number of insurance jobs per capita, and a cadre of powerful public officials with financial and familial ties to the insurance industry — a situation that adds to the influence the industry already wields through its campaign cash and lobbyists. The clash between populist outrage at rising drug prices and the industry’s political clout in Hartford illustrates why seemingly straightforward consumer protection measures still face steep odds. Democratic Gov. 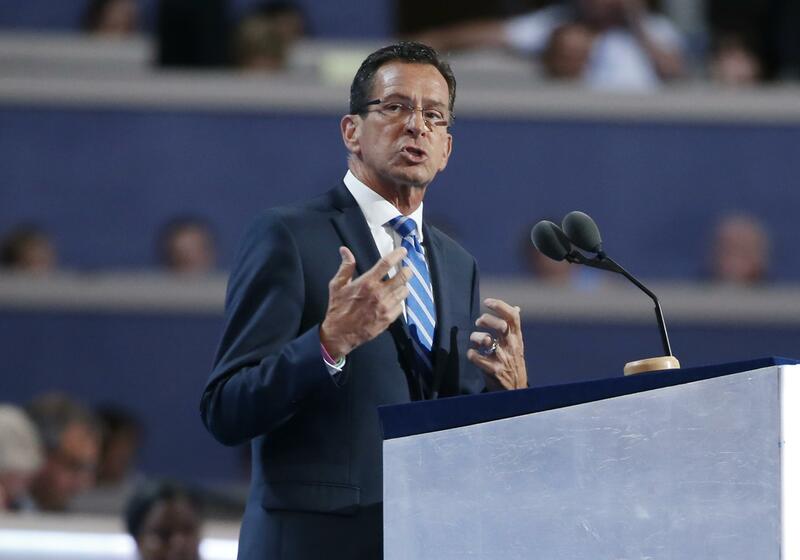 Dannel Malloy, who appointed Wade, came to her defense. “We must take much greater care in considering the impact our actions have on Connecticut insurers,” he said. House Majority Leader Matt Ritter, a Democrat, suggested lawmakers were not sufficiently listening to insurers — and then sponsored an amendment to implement Wade’s proposals. He also backed an amendment to strip out a separate provision in the bill designed to compel insurers to more explicitly disclose all their fees to policyholders. 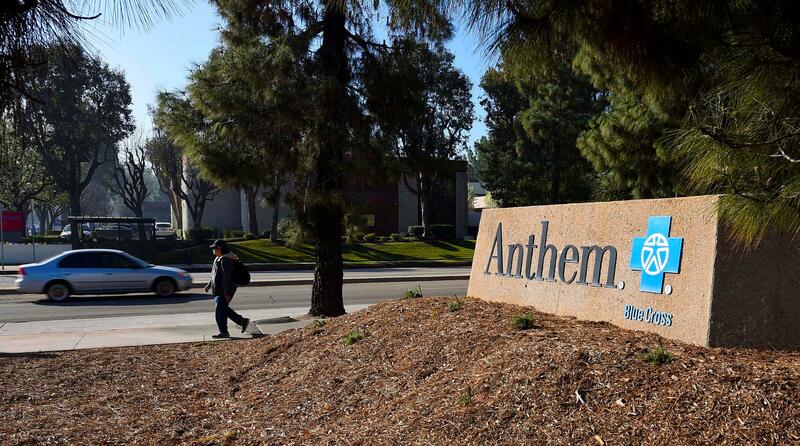 Much of the pushback was framed as an effort to preserve the roughly 58,000 insurance industry jobs in Connecticut at a moment when Aetna is threatening to move its headquarters out of the state. However, left unmentioned was a web of familial and financial links between the Democratic officials floating changes to the bill and the industries with a potential financial interest in the legislative outcome. - Wade is a former vice president of Cigna — the insurance behemoth that runs its own pharmacy benefit manager (PBM) and that is facing a class action lawsuit in Connecticut over its role in an alleged drug price-gouging scheme. As Wade’s department regulates Cigna and its PBM, her husband is an in-house Cigna attorney and her father-in-law, James Wade, is a partner in a law firm working for the PBM, OptumRX, named as a defendant in the Connecticut price-gouging suit. That same law firm lobbies for Cigna and for the health insurance industry’s trade association in the state. 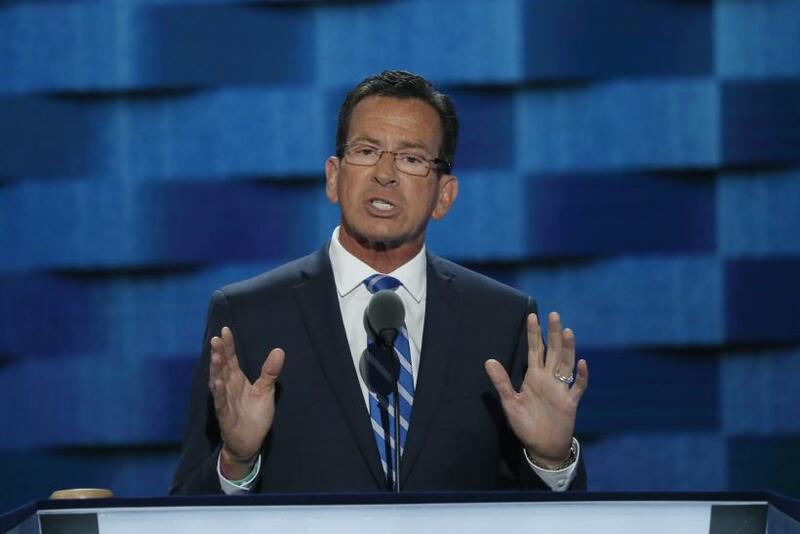 - Malloy is the chairman of the Democratic Governors Association, which raised more than $6 million from donors in the health insurance and drug industries during the 2016 election cycle, according to data compiled by the Center for Responsive Politics. Malloy was reelected chairman of the group in December — and days later the DGA received $100,000 from UnitedHealth, whose PBM is a defendant in the same Connecticut class action suit over drug prices. With insurance money flowing into the DGA — which directly supported Malloy’s own election campaigns — the Democratic governor has pressed for insurance industry tax cuts, pushed state subsidies for Cigna, and blocked the creation of a publicly run health insurance option. Katharine Wade, Malloy and Optum did not respond to IBT questions. A spokesman for Ritter said the majority leader “has not been involved in negotiating this bill or the amendments,” despite the fact the amendment, which was eventually dropped, that sought to add Wade’s language back into the bill had his name on it. Cigna declined to comment. Malloy and Wade have previously said that, despite their attempts to change the bill, they support the larger aims of the legislation. That assertion has not satisfied lawmakers pushing the bill. Noting that Wade faced a state ethics probe last year over her regulatory involvement in Cigna’s proposed merger with Anthem, Democratic and Republican senate leaders criticized her work on the new prescription drug bill. America spends more on healthcare per capita than any other industrialized nation — and ever-pricier prescription drugs have fueled that trend. Spending on medicine has in recent years increased more than the overall rate of health spending — and drug expenditures now comprises roughly 17 percent of all healthcare costs, according to a recent study by Harvard University researchers Aaron Kesselheim, Jerry Avorn and Ameet Sarapatwari. Much of the outrage about high medicine prices has been aimed at pharmaceutical manufacturers — especially after drugmakers’ headline-grabbing price spikes for EpiPens and emergency therapies to combat lead poisoning. Connecticut’s legislative fight, by contrast, spotlights the labyrinthine system of intermediaries between drug manufacturers and American consumers. In the middle of that maze of doctors offices and pharmacies are PBMs, which administer the drug benefits promised by insurers to their policyholders. When they were first conceived in the 1960s, PBMs held out the promise of using their power to negotiate price discounts, and in recent years, three companies — OptumRX, Caremark CVS, Express Scripts — have accumulated control of the vast majority of the market. That consolidation in the $250-billion-a-year market has not coincided with lower drug prices for consumers. Instead, spending on prescription medication spiked 20 percent between 2013 and 2015, according to Harvard researchers. This year, drug prices for Americans under age 65 are expected to rise nearly 12 percent, almost five times the expected growth in wages for 2017. In October, lawyers representing Cigna policyholders brought a class action case against the insurer, asserting that, through its deal with OptumRX, the company had illegally conspired to inflate the drug prices charged to thousands of its policyholders. Cigna, the complaint alleged, either independently or in conjunction with a PBM, required pharmacies to jack up the prices of their prescription drugs — sometimes to more than the full price of the drug. After the patients would pay the inflated fee, usually for generic medicines, the pharmacy would funnel the difference between the drug’s original price and its newly-elevated price, also referred to as the “clawback” or “spread,” to either the insurer or the PBM, according to the suit. The suit also alleged that the pharmacies were contractually prohibited from alerting patients of the practice or directing them to lower-priced options. In a February report, Bloomberg obtained contracts prohibiting pharmacists from publicly criticizing the PBMs or recommending less expensive ways to purchase the drugs, such as paying the pharmacy directly out of pocket. The system, lawyers argue, is a violation of the promise that a policyholder’s payment is a shared “copay” between the consumer and the insurer — and that the consumer will never have to pay more than insurers are paying a pharmacy for the covered medication. The survey buttressed the lawsuits’ allegations that pharmacists were prevented by “gag clause” rules from telling patients about the alleged scheme or lower-cost alternatives — even if the patient asked. Nearly a fifth of the pharmacists who participated in the study reported “gag clauses” preventing them from telling patients about cheaper options more than 50 times a month, and 39 percent said it happened between 10 and 50 times.Those cheaper options mainly included paying out of pocket — meaning patients paid more for their drugs using their insurance than if they had simply paid the cost of the drug without involving their insurance provider. 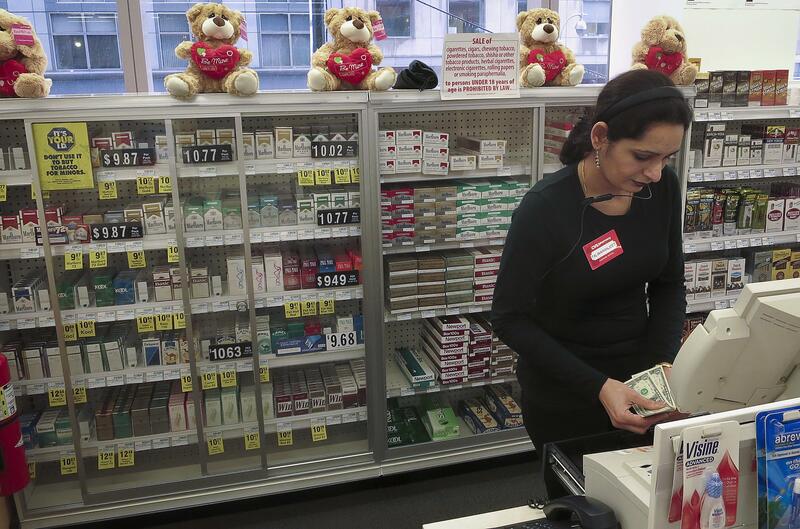 While the PBMs allegedly extracted the spreads from the pharmacies, it’s unclear whether the insurers or their PBMs are pocketing the difference between what they’re allegedly pushing the pharmacies to charge and the drugs’ wholesale prices. “We don’t really know what happens to the money. That’s where the lack of transparency makes everything very confusing,” John Norton, the communications director of the National Community Pharmacists Association, told IBT. “I could break into Fort Knox easier than being informed by the PBMs or insurers the portion of the clawback amount retained by either the insurers or the PBMs,” said Susan Hayes, a founder of and principal at the consulting firm Pharmacy Outcomes Specialists. But unless sponsoring companies — usually very large ones — are contracting directly with their PBMs, in which case the PBM keeps all of the clawback, the insurer and the PBM are probably splitting that spread, she said. With polls showing that most Americans want lawmakers to move aggressively to lower drug prices, legislators have intensified their scrutiny of insurers and PBMs. Sens. 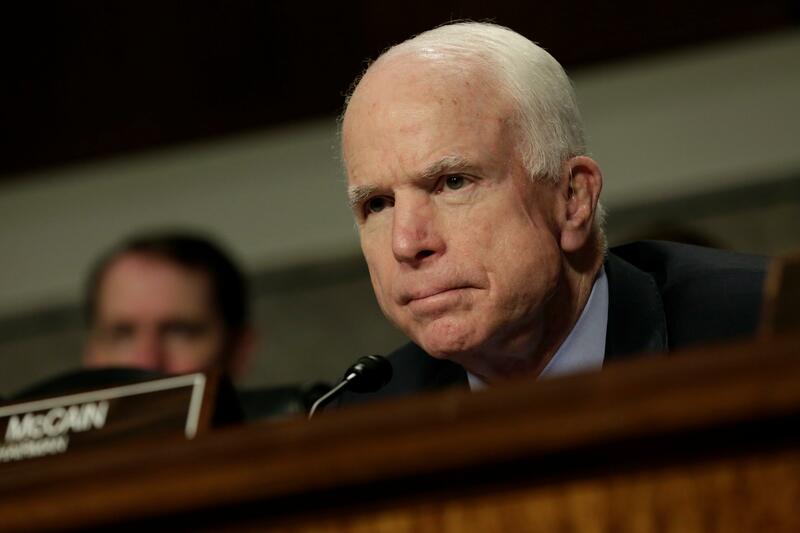 John McCain, R-Ariz., and Tammy Baldwin, D-Wisc., introduced bipartisan legislation in May to bring transparency to prescription drug pricing. But with the pharmaceutical industry’s lobbying muscle in Washington and huge campaign donations to both national parties, consumer advocates are trying to take the fight local. Nearly 80 bills have been introduced in 30 states to tackle prescription drug costs, according to the National Academy For State Health Policy (NASHP). Almost all of these bills seek to bring more transparency to the pricing of pharmaceutical drugs. In Connecticut, the legislation prohibiting both clawbacks and the “gag” contract restrictions came at a particularly sensitive time for the industry — it was introduced just as the drug-price lawsuits against Cigna and OptumRX began moving forward in the state. 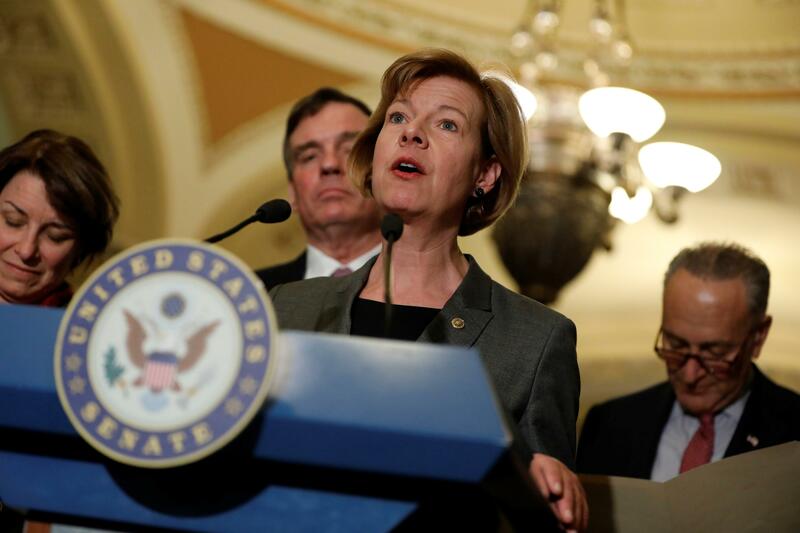 During the initial hearings, consumer and physician groups argued that the bill represented an important step in shedding more light on opaque drug pricing policies. The pharmaceutical industry countered by arguing that the current system helps consumers. “Any provisions that would call for manufacturers to publicly justify the price of certain therapies by detailing the input costs to develop and market them can interfere with the market-based ecosystem that works to bring down prescription drug costs through robust private-sector negotiations,” testified Patrick Plues of the Biotechnology Innovation Organization, a drug industry trade association. State records do not reflect the insurers publicly lobbying on the legislation, and it is unclear how much insurers are directly receiving from clawbacks. Still, the bill’s sponsors suggested the opposition has been fueled by the industry. A spokesperson for Wade told the Hartford Courant that the senators “omitted an important part” of the language that Wade had proposed be added to the bill. Wade’s office did not respond to repeated IBT requests for comment and for the full language that Wade wanted added to the bill. Malloy defended his insurance commissioner, saying in a statement that “to accuse the commissioner of 'interjecting' herself into an open legislative process by offering appropriate language is ridiculous on its face. It's especially ridiculous given that our administration has been consistently supportive of the underlying bill concept — to imply otherwise is disingenuous at best, and a lie-by-omission at worst." Malloy’s statement chastised the senators for their “unnecessary and antagonistic approach toward Connecticut’s insurance industry.” The governor repeated that critique Friday, saying the senate had “turned a deaf ear on the insurance industry” when lawmakers passed a bill that would require insurers to provide additional health benefits for women, children and adolescents and expand contraception benefits. “They are a very, very powerful lobby here in the state,” Ellen Andrews, executive director of the Connecticut Health Policy Project, told IBT about the insurance industry. 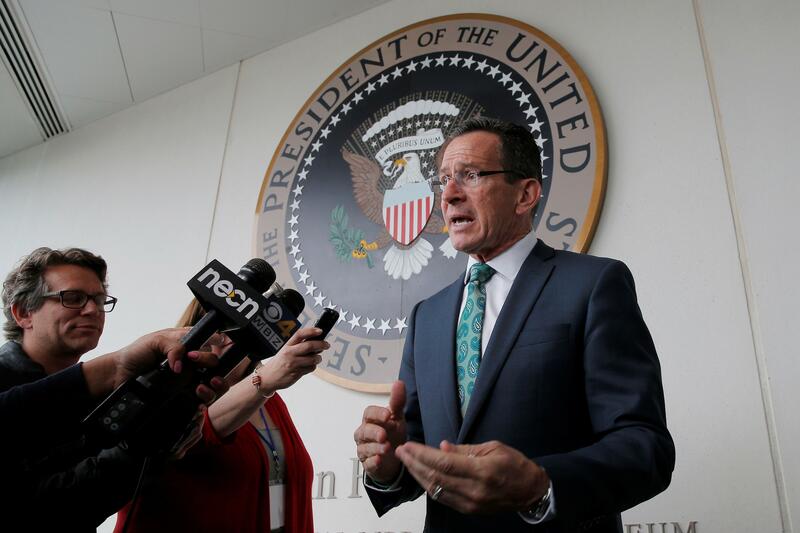 Despite Malloy and Wade’s pressure, Connecticut’s senate unanimously passed the drug pricing bill — but the bill’s fate in the House remains uncertain in the waning hours of the legislative session. Ritter, the Democratic Majority Leader, along with the Democratic chairs of the Public Health and Insurance and Real Estate Committees, drafted an amendment containing nearly the exact same language that Wade sought to add into the bill. A later amendment ultimately scrapped the language. “Even if it’s a concept and you want to get a public hearing, be careful. That’s a very important industry to the state of Connecticut,” Ritter said. But while the bill could be watered down, it is also possible that time to pass it will simply run out. The session ends Wednesday, and it is unclear if the Democratic leadership will bring the bill to the floor for a vote before then, despite the bill’s unanimous passage in the Senate. Republican Rep. Fred Camillo, a co-sponsor of the legislation, told IBT that although Connecticut politics has changed and “bills that normally would have flew through years ago are not,” he hoped the anti-clawback bill would reach the floor of the House. “It certainly has a lot of support. We’re hoping it gets called,” he said. Even if this bill dies, there will likely be continued pressure on Connecticut officials to combat rising drug prices, and Malloy’s administration will have the power to take — or refuse to take — such action. Matthew Katz, the executive vice president and CEO of the Connecticut State Medical Society, a physicians’ group and a state-level entity of the American Medical Association, said the class action lawsuit’s allegations against Optum should “at least” warrant some sort of review by the state’s health insurance department. But he raised concerns about the familial connections of Wade, the insurance commissioner. “The wisest thing would be for her to recuse herself if there was an ongoing investigation in this matter. If there is an investigation, she should step back, as there’d be at least a perception of a conflict of interest,” he told IBT.